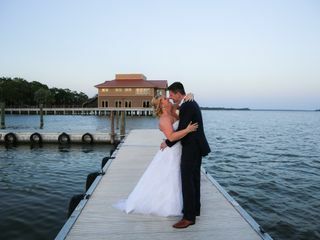 Tavares Pavilion on the Lake is a one-of-kind wedding venue located in Tavares, Florida. 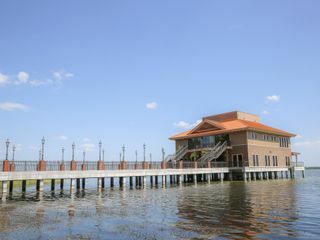 Serenely floating over beautiful Lake Dora, this tropical-inspired waterfront oasis is furnished with natural fibers, lovingly restored antiques and original artwork. 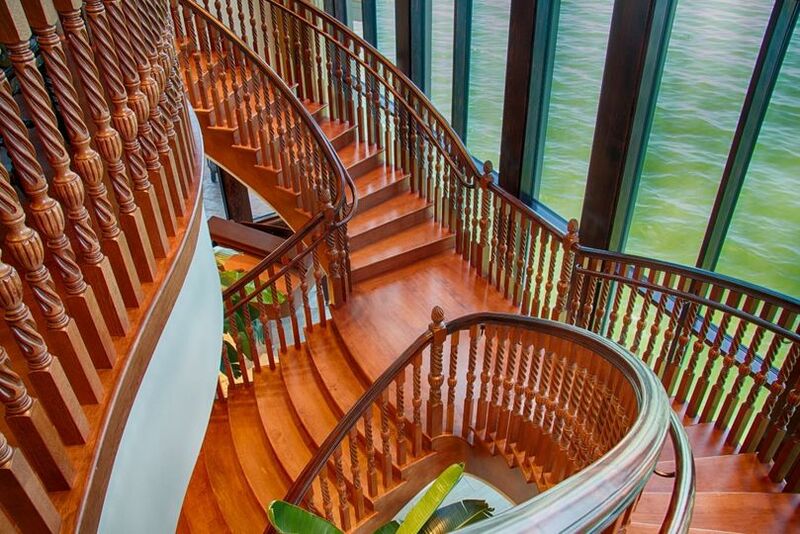 Floor-to-ceiling windows provide spectacular views, and a winding, hand-crafted staircase provides a picture-perfect backdrop to weddings and events. 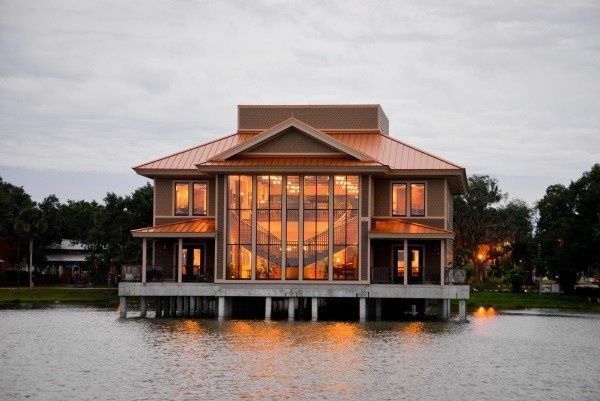 Built-in wireless technology, from automatic tinting windows to specialty sound and video systems, puts Tavares Pavilion on the Lake in a distinctive class all of its own. 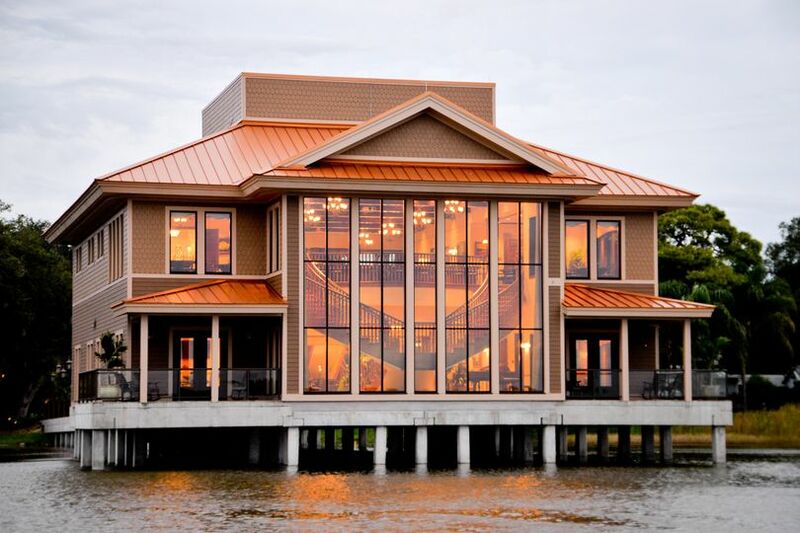 An 8,000-square-foot two-story event center, Tavares Pavilion on the Lake is designed to accommodate corporate meetings, special events and weddings. This venue provides plenty of versatile indoor and outdoor event space, including two ballrooms, two meeting rooms, a 150-foot brick paved pier lined with gas lamps and beautifully landscaped gardens. 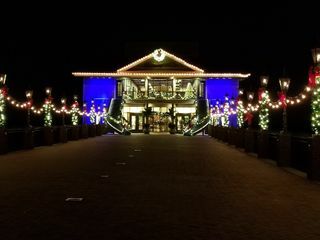 Tavares Pavilion offers unique architectural details, such as a built-in wood bar, professional art, ornate woodwork and chandeliers. 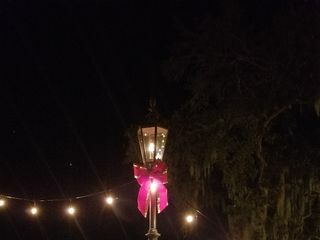 The Pier and Lush Gardens is a brick paved pier leading from luxuriant landscaped gardens to glass entry doors lined with gas lamps. 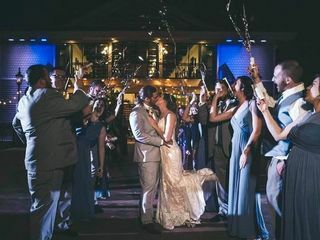 The space is perfect for an outdoor cocktail hour, ceremony and/or reception. 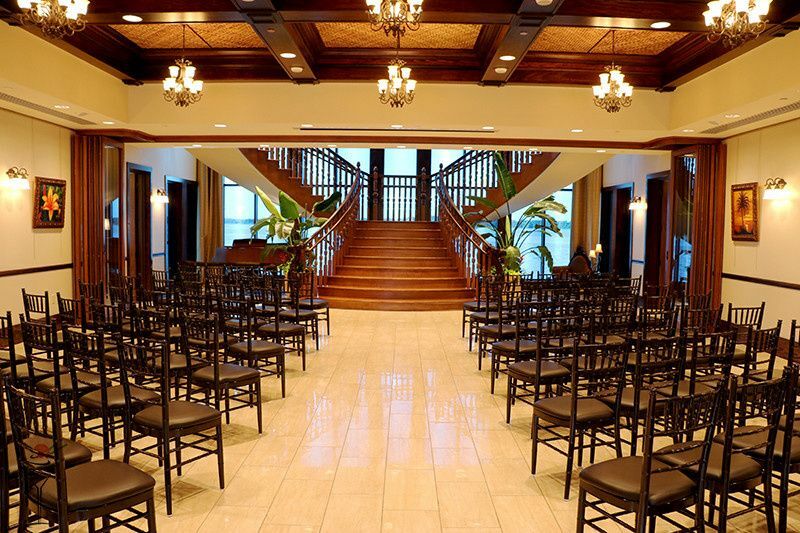 The Ballrooms offer elegant expresso Chiavari chairs, aircraft aluminum tables and handcrafted artistry. 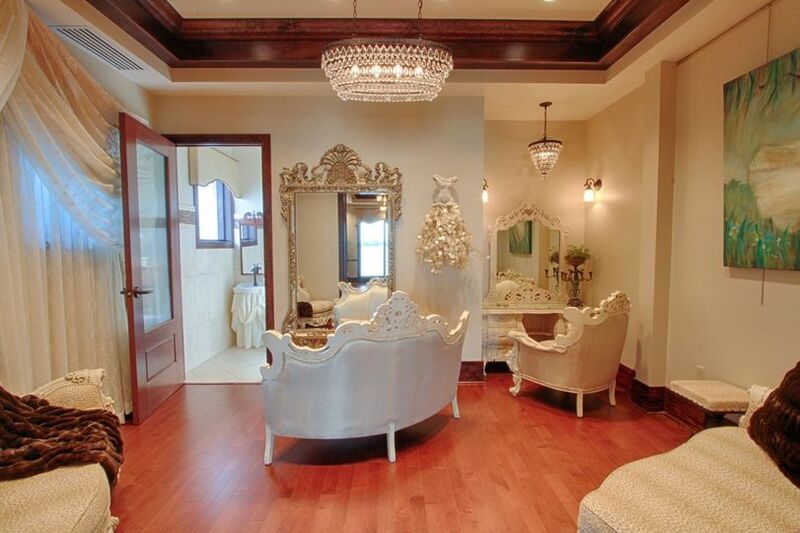 The venue offers both a bride and a groom's room. 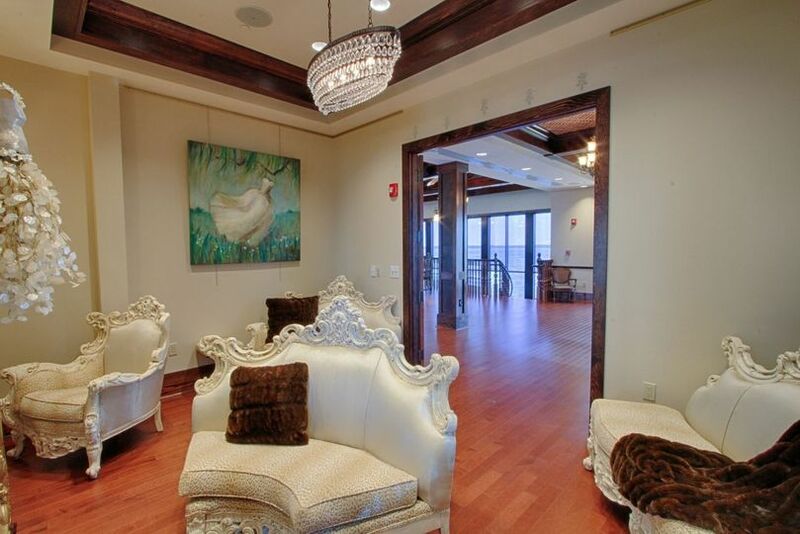 These spaces are private rooms with ornate furniture, mirrored dressing tables, an outdoor deck with private lake views and optional billiard tables. 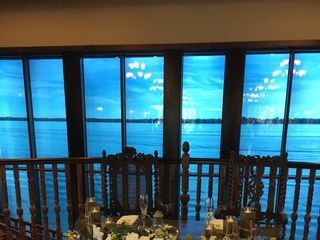 The Tavares Pavilion on the Lake offers a choice of five different preferred caterers that can accommodate a variety of tastes at several different price points. 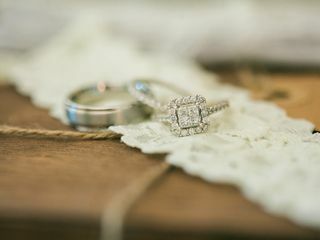 These vendors have been vetted through a rigorous review process, ensuring you will receive top-notch service for your special event. 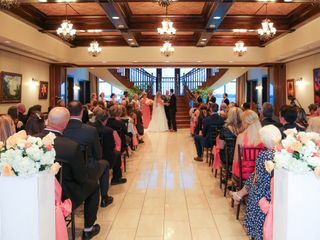 In addition to wedding ceremonies and receptions, this venue can accommodate all of your wedding events, such as engagement parties, bridal showers and rehearsal dinners. The space is also ideal for hosting corporate meetings, holiday parties, birthdays, anniversaries and other special occasions. 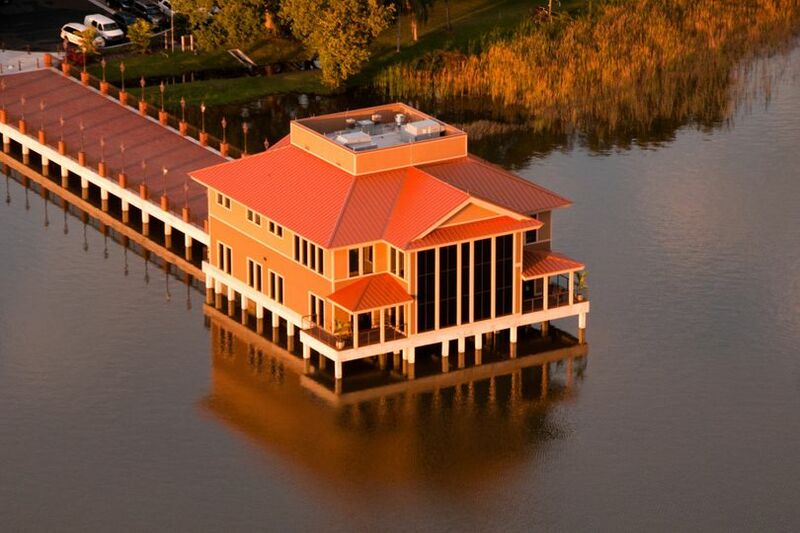 Tavares Pavilion on the Lake is located in Wooton Park in downtown Tavares, Florida. Packages are available to incorporate seaplane transportation into your event. 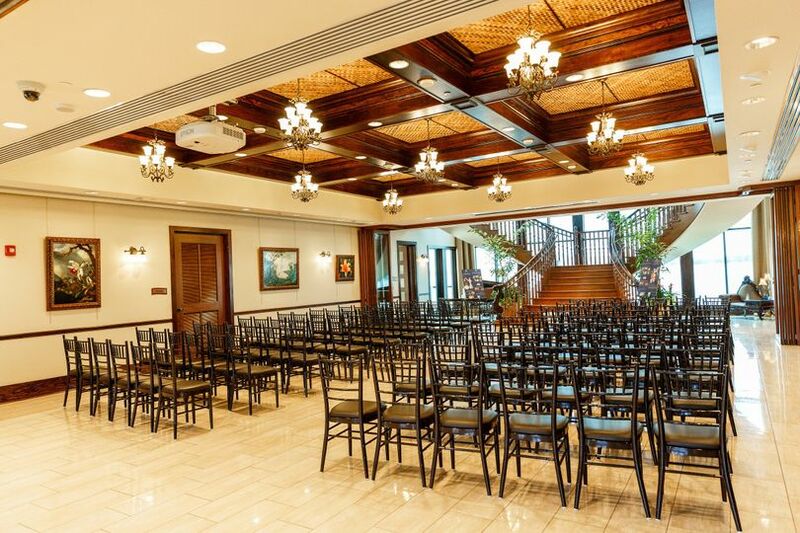 This venue is convenient to major attractions in Orlando, and a small hotel is located adjacent to the property. We can’t thank Carrie, Amy, and their TPL family enough! 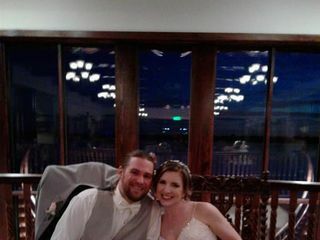 Not only did we fall in love with the venue the second we walked in, their team was truly what sold us and made us have THE PERFECT DAY! 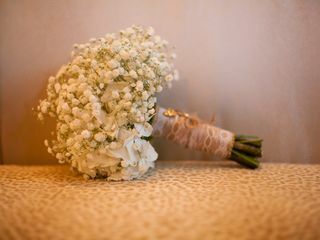 Their prompt communication, family-like team, and flawless attention to detail put us at ease. 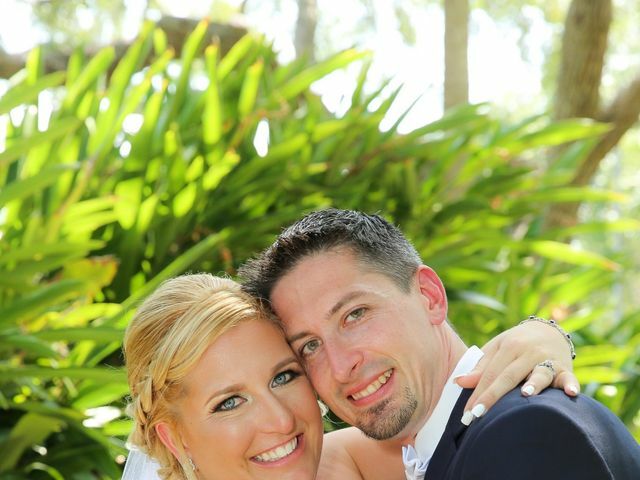 Though we were the 3rd or 4th wedding IN A ROW that week, we truly felt like we were their only priority! We had worked with the TPL team for a year and truly could not have asked for a better experience! THANK YOU, THANK YOU, THANK YOU!!!! 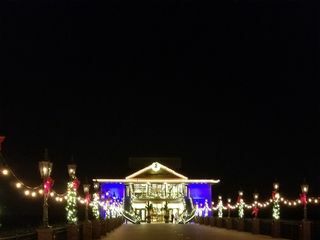 From the moment we stepped foot on the property, we knew this was going to be our wedding venue. From booking last February to our event this February the staff was extremely helpful and answered any and all questions related to the venue! 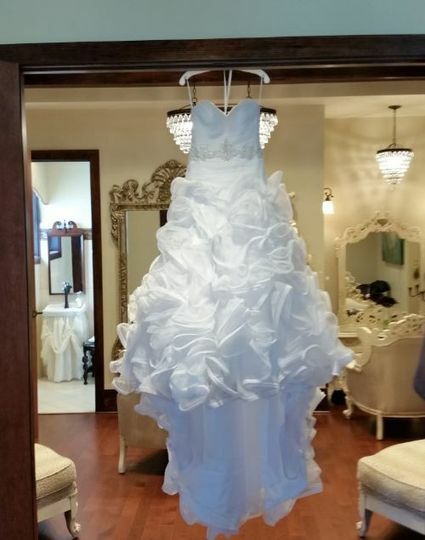 They had suggestions for vendors and were really the very first step in our perfect day! The day of the event we were so incredibly pleased with how everything was set and ready to go by the time we arrived. 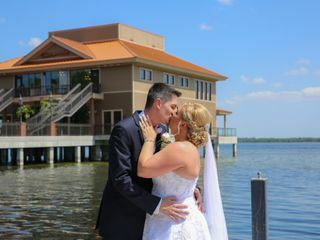 We received more compliments than I could count on how beautiful the venue was! 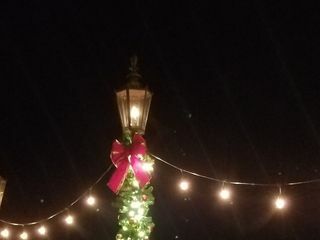 I would definitely recommend this venue to everyone!